If you’re looking for something large, the George Kovacs chandelier in polished nickel may be the appropriate choice. It is elegant, and it is fit for a living room setting. If you’re looking for something that will make your foyer or hallway look sophisticated, then a large chandelier would work. Also, check out George Kovacs Light Low Voltage Chandelier in Brushed Nickel, which has two sets of dangling bulbs, and one hangs lower than the first. The low voltage will provide a certain ambiance regardless of who you’re entertaining. On the other hand, for something that will really capture the attention of people entering your home, a custom chandelier will be the appropriate choice. Additionally, if chandeliers are not what you’re looking for, you may like our “George Kovacs light flush mount” in white. It has a simple design, and it is made out of glass. It has a rounded edge, and it will work for a dining room or a living room area. Furthermore, it is dimmable, so you can adjust the lighting according to what ambiance you’re going for. The price is reasonable, and it will work well in any room. It can also work for a bedroom, because you can dim the lights if you’re sleeping, or if you need to relax or do some studying. Alternatively, you can take a look at our George Kovacs lamps for something smaller. They are a perfect combination of practicality and aesthetics which will get your creative juices flowing. We have a George Kovacs Table Lamp in Antique Silver, which is elegant-looking and it will give your side table a finishing touch. It has a black lamp shade with a gold lining which will make your home a little more sophisticated. Moreover, a similar style that we have is the George Kovacs 1-Light Table Lamp in Gold. It has a white fabric lamp shade with a gold finish, and it will make any home seem elegant. If you’re looking something that is suitable for a bachelor apartment, then you should take a look at our George Kovacs floor lamps. We have everything from arc lamps, to Torchiere lamp. 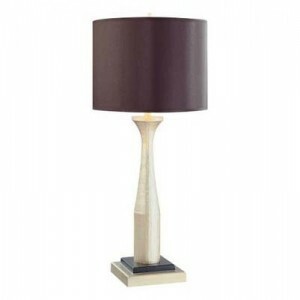 For example, the Light Arc Floor Lamp with Opal Glass comes with a black base, and it has a brushed nickel finish. It has a modern look with a curved J-shape, which will illuminate the area around your couch. Additionally, the lamp is dimmable to create the look you want in your apartment. These are just some of the styles that we have, and you can’t go wrong with George Kovacs lighting. 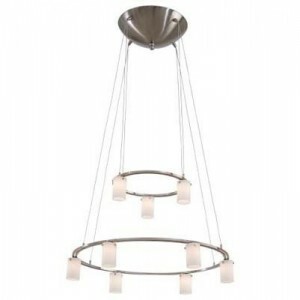 Take a look at our website ( www.crescentharbormodern.com ) today to get modern lighting ideas for your home today.